The most incredible way to see the Arkansas River valley – from clifftop and treetop! 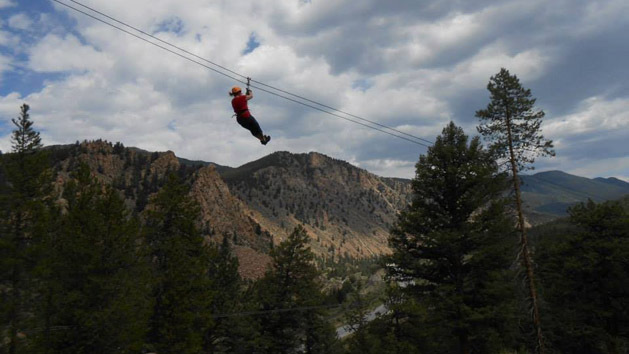 Visit our 44-acre private Zipline course at our Granite Outpost north of Buena Vista, CO. Seven lines whisk you over 3,500 total feet! Finish off your adventure with our 900-foot dual race line that will leave you breathless and smiling from ear to ear! Your heart will pound as you leap from our platforms built into natural features such as rock cliffs and towering old-growth pine trees. Overlooking the 14,000 foot Collegiate Peaks mountain range, this adventure provides a hefty dose of mountain fun.